the total number of open charts. as well as be used for other purposes. The script has several display modes. 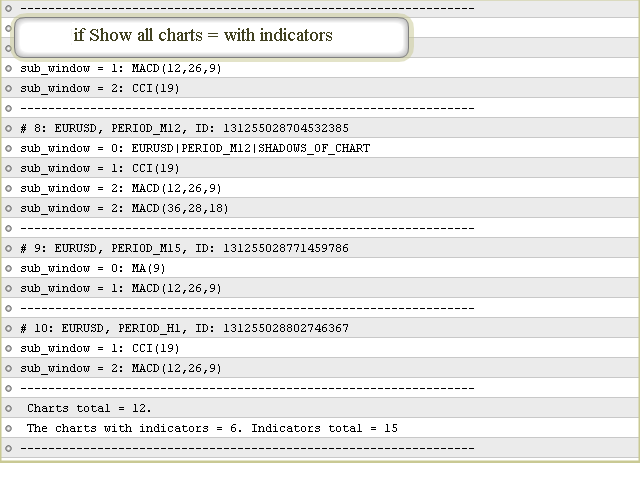 It can show information: about all open charts; or about charts with indicators; or about charts without indicators. Data are printed in the journal of the Experts tab. The information can be easily copied and pasted where you may need this. 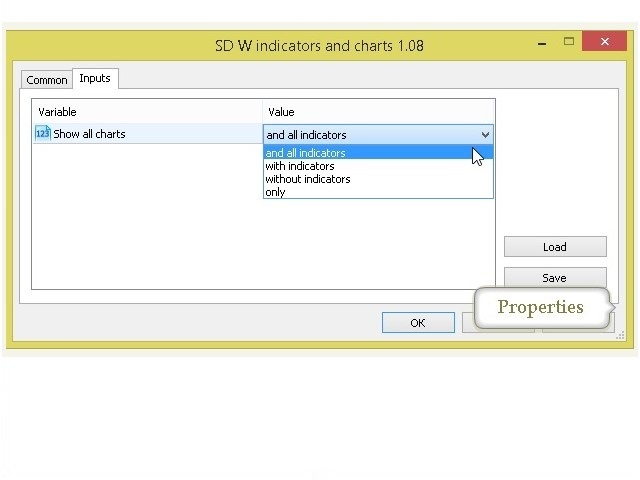 Run the script on any chart and choose the display mode or leave the default one. After displaying the required information, the script will be automatically closed. Show all charts = and all indicators - show symbol names, timeframes and IDs of open charts and short names of attached indicators. If any of the charts have no indicators, a brief information about the charts will be displayed. 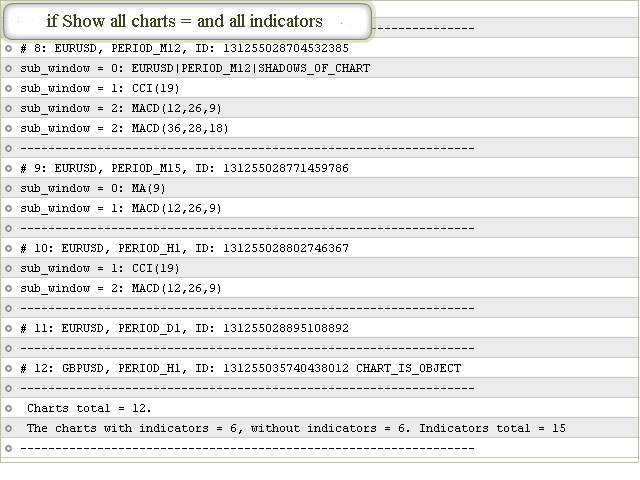 Show all charts = with indicators - only show information about the charts, on which indicators are currently running. 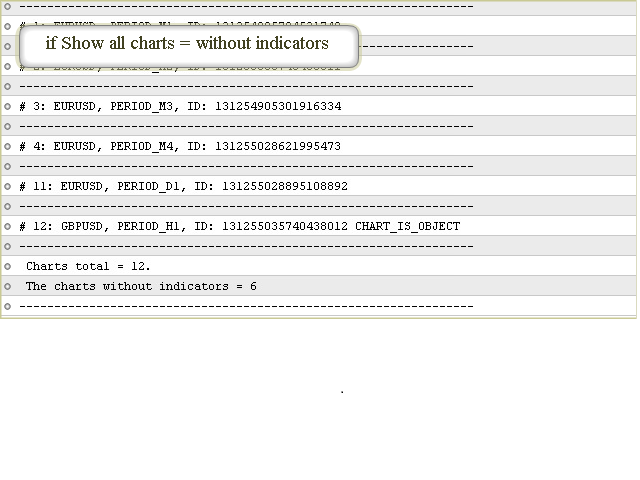 Show all charts = without indicators - only show information about the charts without indicators. 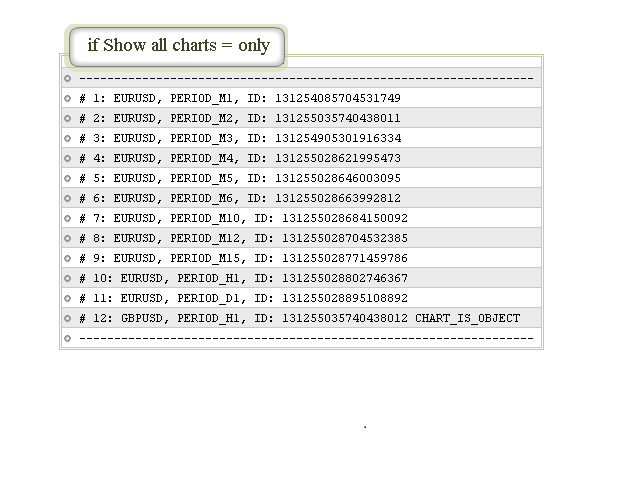 Show all charts = only - only show symbols, timeframes and IDs of open charts. If there are "Chart" graphical objects, not real charts, CHART_IS_OBJECT will be displayed for such objects.